My patients come from around the world. 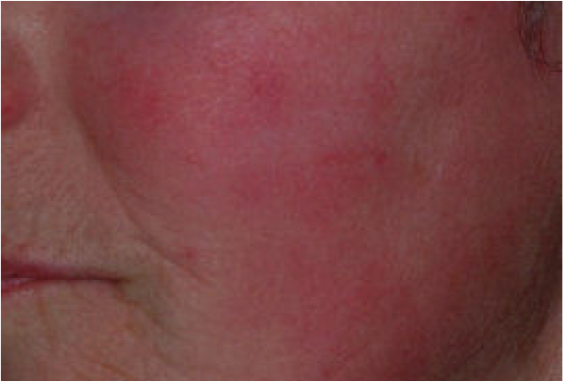 Their Rosacea varies from mild, to severe, to debilitating. After my Ultimate Light℠ IPL and medical treatment, many patients have returned to their pre-rosacea daily activities and have expressed a dramatic improvement in their quality of life. I take pride in setting aside a generous amount of time to provide thorough and compassionate care. Please examine my before and after photographs, which document my patients’ improvements. As my patient, you can be assured that I will give your concerns the highest level of customized expert Dermatological care. I look forward to the opportunity to help you improve your Rosacea. 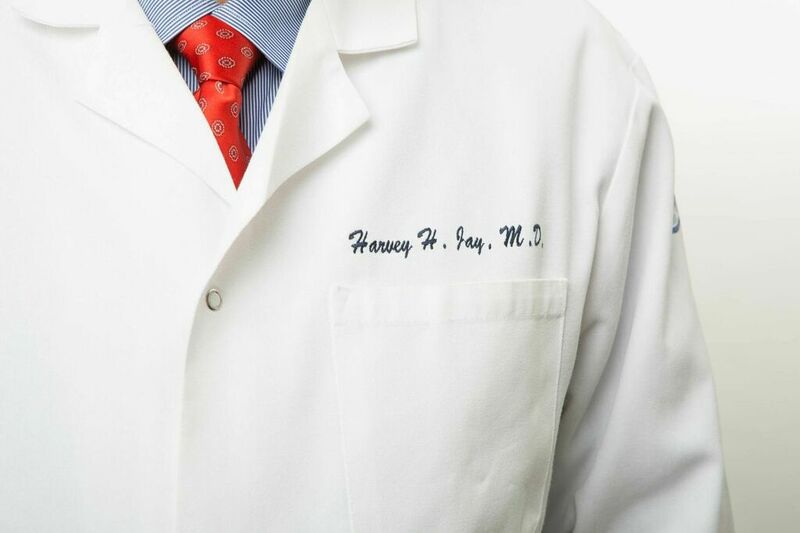 To make an appointment to see me or to obtain more information, please contact us at 212-755-2237.
Who is Dr. Harvey Jay? Dr. Jay has over 40 years of experience treating people with the most severe symptoms of Rosacea. All treatments are performed only by Dr. Jay. 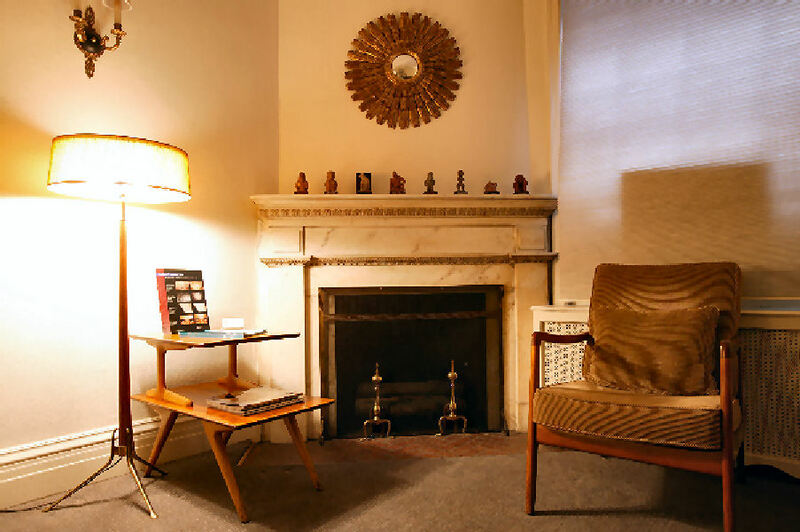 Dr. Jay provides unhurried personal care. Many people come to Dr. Jay after receiving unsuccessful treatments from other dermatologists and using many ineffective products. After Dr. Jay performs Ultimate Light℠ treatment, patients usually see improvement immediately or within three weeks. Until treatment produces a satisfactory level of improvement, Dr. Jay will generally treat patients every 3-4 weeks. 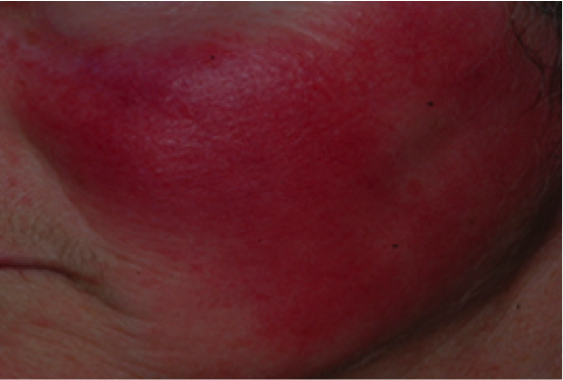 Once you feel that your Rosacea is at a satisfactory level, treatments are only repeated when needed. 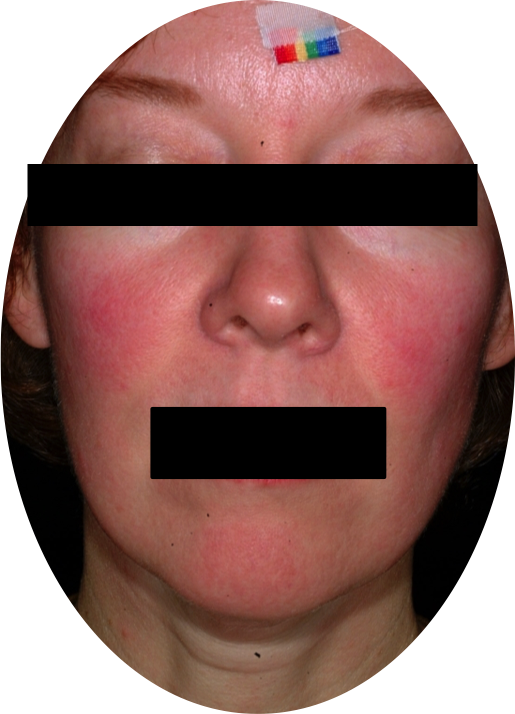 Since the long-term course of Rosacea is variable, some of Dr. Jay’s patients never require Ultimate Light℠ retreatment, while others return after several years, or as needed to maintain, or to further improve results. Patients have reported that Ultimate Light℠ treatment administered by Dr. Jay is painless, and on very rare occasions, produces minimal bruising. Ultimate Light℠ or laser treatments, when administered by an experienced dermatologist, are the only successful long-term treatments for Rosacea’s long-term redness, blood vessels, flushing, burning, stinging, and tingling. Rosacea patients’ improvements with Dr. Jay’s Ultimate Light℠ treatments have lasted for up to 20 years (since 1995)… and still counting! Rhinophyma describes a thickened, enlarged nose, which ranges considerably from barely noticeable to the very distinct and relatively rare bulbous nose associated with President Bill Clinton or the late comic, W.C. Fields. Dr. Jay has successfully treated the smaller sized nose with Fractional RF (radiofrequency) without anesthesia or pain medication. Postoperative redness and scaling, is topically treated (when needed) with cool water compresses, Elta™ spf 41 tinted sunscreen, and/or plain petrolatum. Immediate return to normal activities is usually possible on the day of treatment. Results are usually noticeable in 1 to 3 weeks. 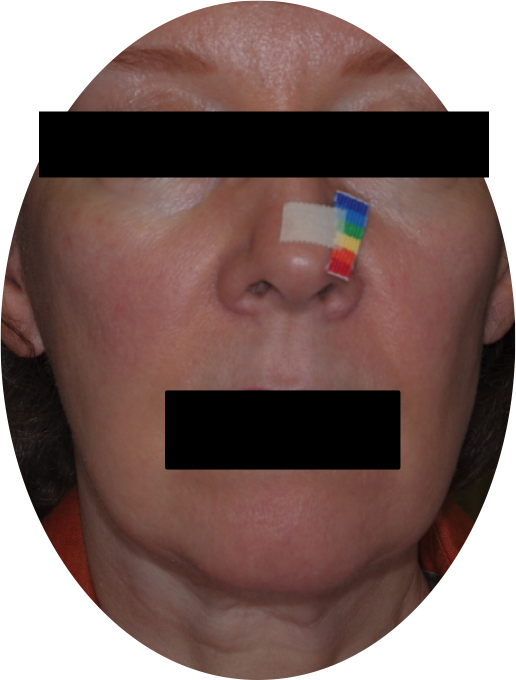 Severe Rhinophyma requires more aggressive surgery with local or systemic anaesthesia, plus pain medication. Return to normal activities can take days or weeks. 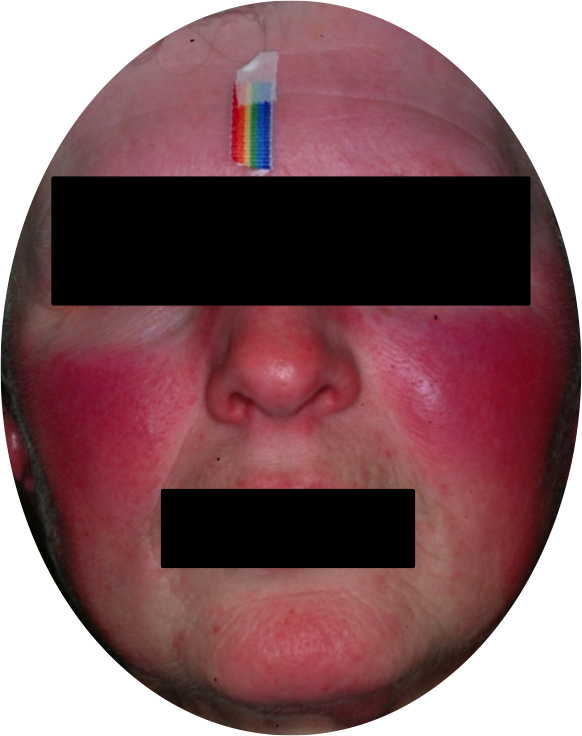 Rosacea is characterized by redness caused by small dilated blood vessels that are not individually visible to the naked eye and/or larger distinct blood vessels. Both manifestations are usually permanent and worsen over time. These stimuli are believed to produce dilation (widening) of the blood vessels and thereby redden the skin. In many patients, these flares are associated with symptoms such as flushing, burning, stinging, and/or tingling. 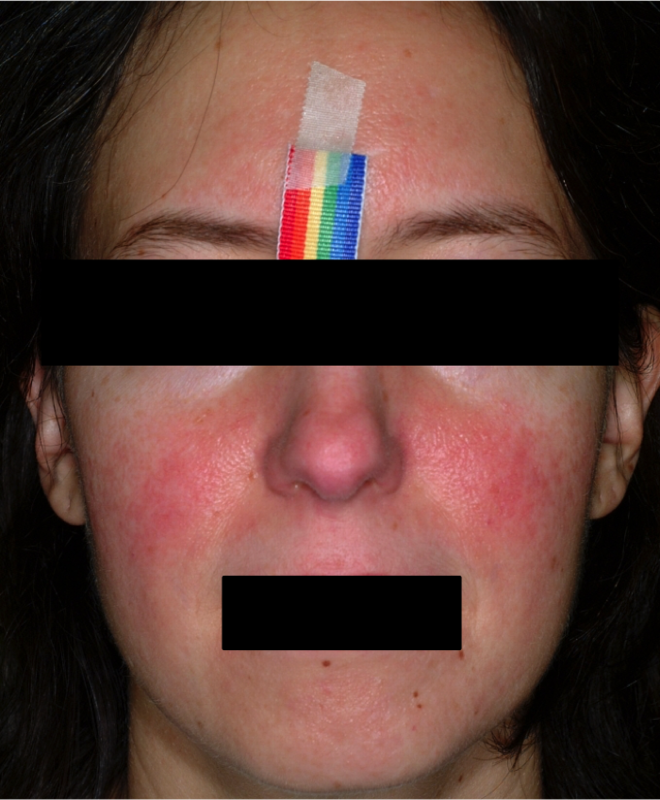 The natural course of Rosacea may include episodes of improvement and worsening. 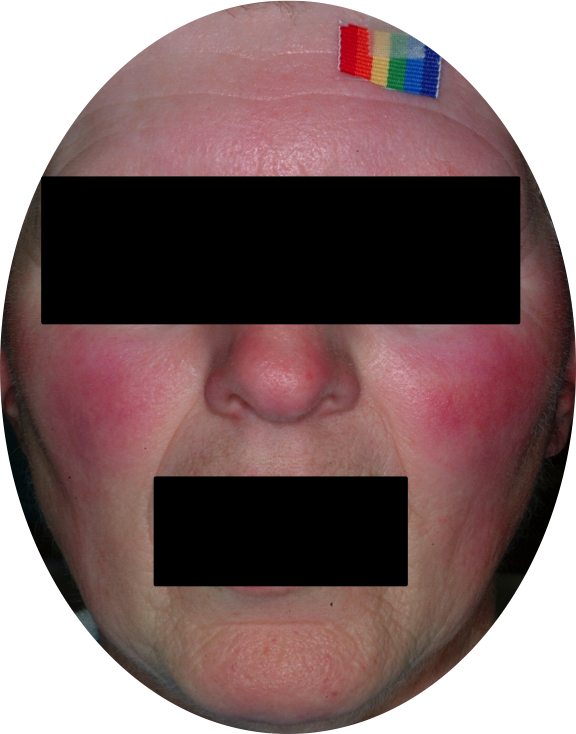 Obviously, patients with Rosacea should attempt to avoid or minimize anything that may cause their condition to flare or worsen. Short-term refers to the redness that remains after pimples clear. 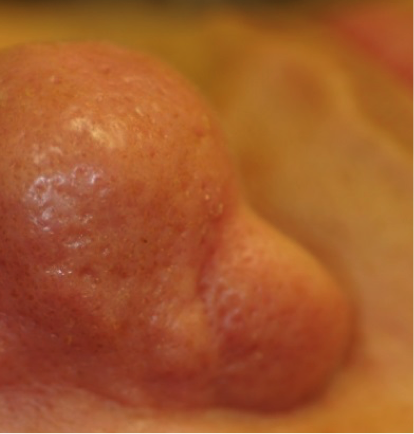 It has the round shape and size of the pimples. 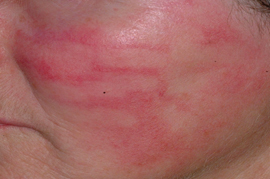 Short-term Rosacea usually clears on its own without treatment after a few weeks. Topical or oral medicines that prevent pimples can therefore result in fewer pimples and less short-term redness. 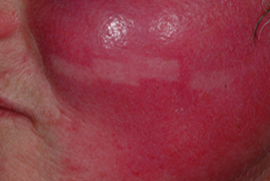 Long-term redness worsens over time and persists for years, and usually for life. It usually covers wide areas of the face, especially the central face, and is frequently associated with flushing, burning, stinging and tingling. Long-term redness requires treatment with either Ultimate Light℠ (IPL) or laser for long-term improvement. Since it is not pimple-derived, long-term redness will not be improved with oral or topical medications that prevent pimples. In addition to Ultimate Light℠ for pimples, Dr. Jay frequently recommends application of prescription clindamycin 1% lotion and occasionally Azelex™ cream. When topical medication is insufficient, the oral antibiotics, doxycycline or minocycline, can be effective in treating and preventing pimples or cysts (nodules), especially when combined with Ultimate Light℠. Dr. Jay can also perform acne surgery to accelerate the clearing of acne pimples and cysts. Mirvaso™ is currently the only FDA drug licensed for the temporary topical treatment of Rosacea’s long-term redness. Topical Mirvaso’s™ temporary effect on redness is very short-term (less than 12 hours), with only a 13% rate of success over placebo. Therefore, Dr. Jay does not prescribe Mirvaso™ after patient reports of frequent side effects such as patchy responses and/or worsening of appearance and/or symptoms. Other topical medications such as: clindamycin (lotion, gel, or solution), metronidazole (Noritate™, MetroGel™, MetroLotion™, or MetroCream™), sulfa, sulfur, or azelaic acid (Azelex™ cream or Finacea™ gel); are available for treating ONLY Rosacea’s pimples (and thereby affecting the short-term red dots that remain after the pimples clear). These red dots would usually clear on their own without treatment. Dr. Jay occasionally maintains patients on a metronidazole cream, but rarely initiates it. In Dr. Jay’s experience, Finacea™ gel has frequently been irritating to patients, so he does not prescribe it. 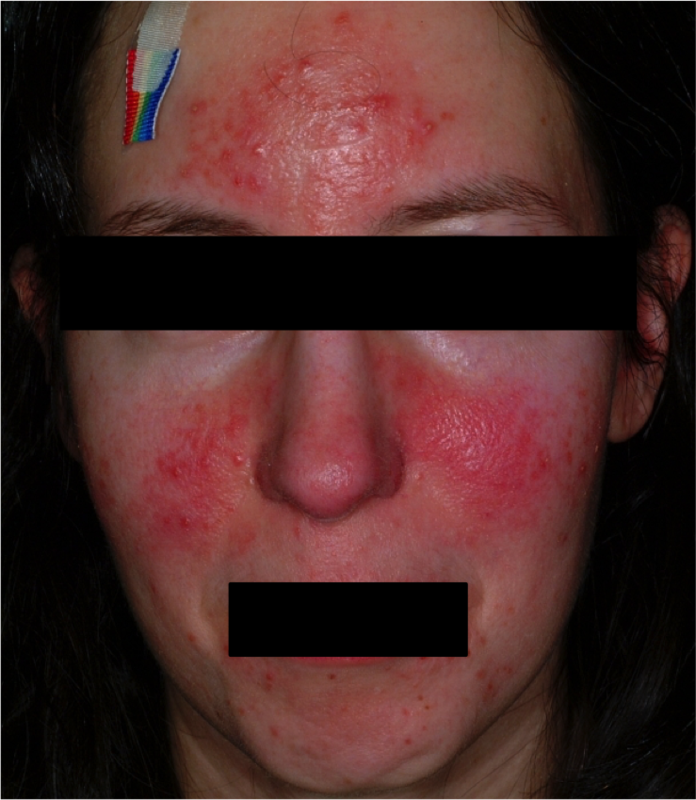 Dr. Jay has never prescribed the oral retinoid isotretinoin ( Accutane™) for Rosacea. Dr. Jay rarely prescribes topical retinoids such as adapalene (Differen™), retinoic acid (Retin-A™), or tazarotene (Tazorac™) because they are usually too irritating for Rosacea patients. Topical sulfa or sulfur are very rarely needed by Dr. Jay’s patients. 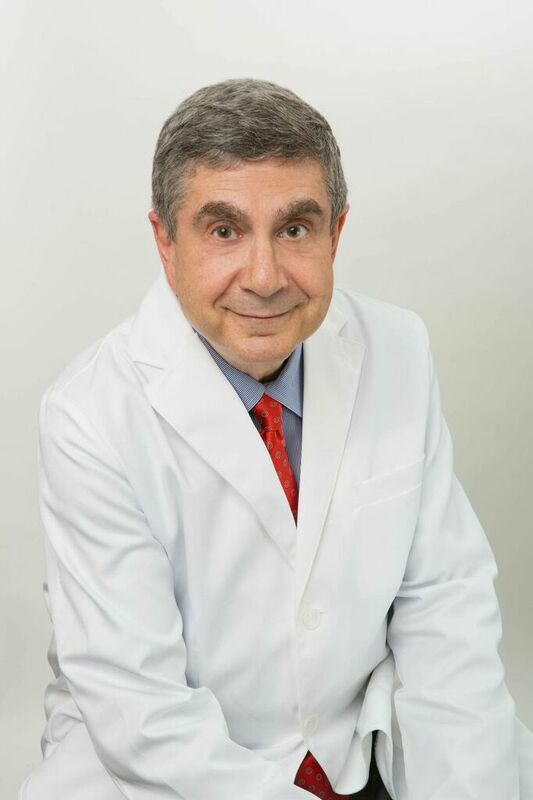 Dr. Jay’s expertise in treating all aspects of Rosacea has enabled him to assist patients who travel to his Manhattan office from around the world in order to obtain relief and improve their quality of life. Dr. Jay personally provides painless Ultimate Light℠ treatments as part of a comprehensive analysis and personalized care plan. With his extensive experience, Dr. Jay is able to treat even Rosacea’s long-term redness, blood vessels, flushing, burning, stinging, and tingling. Dr. Jay will typically spend 1-2 hours with his Rosacea patients during their first visit and treatment session. 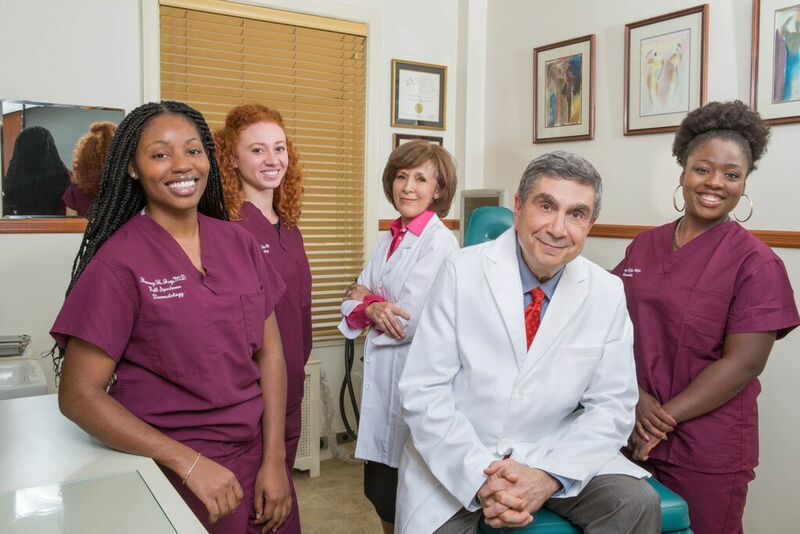 Dr. Jay believes in taking the time to listen carefully to patients, to review their extensive histories, and then to examine, evaluate, educate, and treat them. Other skin problems such as seborrheic, atopic, allergic, and contact dermatitis, as well as certain medical conditions can resemble and overlay the symptoms of Rosacea and must also be considered and evaluated. Please call (212) 755-2237 to make an appointment to see Dr. Jay. Click here to view Dr. Jay’s CV.